I was talking with a friend and fellow writer this week about the strange phenomenon of seeing multiple fulfilling personal projects falling into place at once. We’re both in our mid (okay, late) thirties, neither of us working any longer in the careers our expensive educations prepared us for. And yet, there are some successes, opportunities, arriving even when we’ve not really been looking for them. The odd thing is, even though we both feel like we have quite a bit of knowledge and experience by now, we still feel like we’re improvising. We talked about how so much of our twenties we labored under the suspicion that one day, someday, we would arrive as if opening a door into a chosen profession, a marriage, a schedule, children, a community. We looked ahead believing there would be ordered days, or at very least, no more looking at the Help Wanted section for just the right vocation. But now that we are, presumably, here, the truth is, we never arrive. There’s always some aspect of life yet to be figured out. There’s weight to be lost or computer files to organize or friendships to rectify or home repair projects to complete. Businesses you started yourself aren’t quite yet what you want them to be. This hobby is neglected or that one. I think this is the value of being in my thirties. 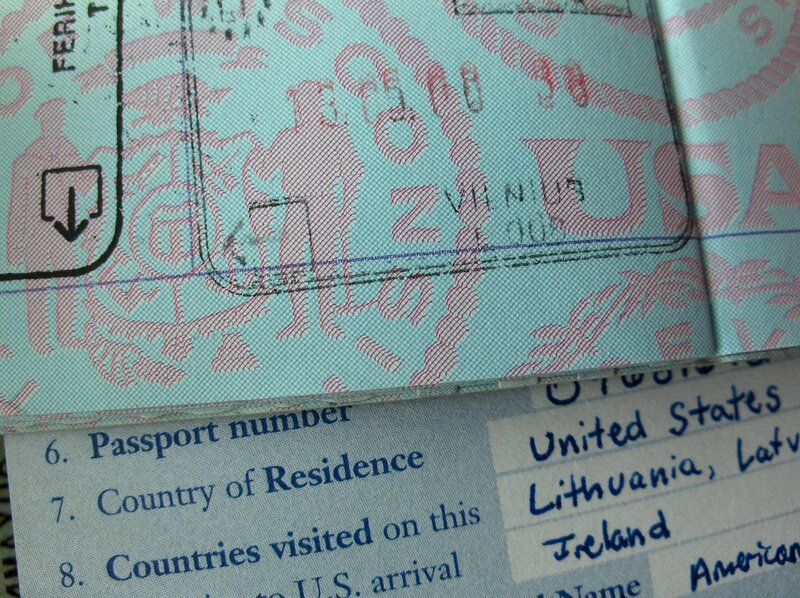 I don’t have to wander around anymore waiting for the world to stamp my passport and let me in. I’ve seen behind the curtain, and we’re all back here improvising, making it up as we go along. Please stop mentally composing smug passive-agressive blog posts that you can’t wait to run home and post from behind your laptop screen so we can all be assured of your parenting superiority, but which risk nothing in terms of furthering relationships or building community. And that’s the point, isn’t it. These “dear mom on an iPhone,” or “don’t help my kid to the top of the ladder” (yes, that’s the one I read this morning), or all the myriad other “Dear Parent’ public service announcements aren’t really about helping other parents and kids (including the ones that are just opposite-side rebuttals to the originals). They’re about the writer’s own desire to vent. Like this post here. I’m venting. And as a side bonus, I hope I’m wooing you with my clever insightfulness. What I’m not doing is meaningfully interacting with another parent in front of me. Or sharing my own failure to keep my 16-month-old from climbing on top of the kitchen table, no matter how many time-outs I put him in. Or the way I can get so angry at his refusal to stop squirming at diaper changes that I throw wet wipes across the room. Nor am I listening to other parents’ potty-training triumphs or nap schedule struggles. There’s no tangible community being built out of my cleverness. I think venting is necessary, and blogging is a major outlet for many of us parents who don’t otherwise get much adult interaction during the day. But when I see other families interacting (or not interacting, iPhone mom) in ways I might disapprove of, I hope that my first impulse is not to start composing a self-righteous blog post. I hope I can learn to pay attention to who at that playground might be lonely, who might have some parenting tricks I can learn from, and who I might just want to go have a conversation – you know, voice to voice, face to face – with. If I have a parenting insight I want to share (about how maybe you need to supervise your kids in the kiddie pool so they don’t drown my one-year-old, aaagh! for example), there are ways to share it without scapegoating. I say this as an introvert who doesn’t really like talking to strangers, let alone risking an argument with another mommy about whether or not to help her kid to the top of the ladder. But real community takes risk – the risk of unpleasant conversations, the risk of being open about your failures, the risk that someone might think you’re not a cool mom. So there. There’s my anti-judgementlist judgementalism. Can we all just chill out now? And maybe try talking to one another a little more?